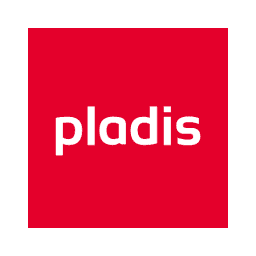 Established in 2016, pladis Global is a biscuit, chocolate, and confectionery company that comprises longstanding, pedigree brands with more than 20.000 employees. The company offers its products worldwide. pladis Global is headquartered in the United Kingdom. pladis made the strategic decision in 2017 to drive a new consumer-centric operating model, streamline operations and enable profitable growth by implementing a new digital technology platform. To realize this vision, pladis has embarked on a Digital Transformation journey to create new business capabilities. The first step on the journey was SAP S/4HANA Cloud – SAP’s Digital Core. Keytree was selected as the SAP partner. One of the main reasons pladis selected Keytree was the culture but also the experience they would bring to the project. We had a great working relationship with Keytree, the pladis team was eager to maximize Keytree’s extensive knowledge of the digital landscape and strong innovation credentials. Keytree’s wide-ranging expertise in ERP and global recognition for SAP Cloud Platform apps was a perfect match for the Digital Transformation voyage on which pladis was embarking. The relationship has proved very successful with the first stage of the implementation for pladis North America live in May 2018 – with Australia and China next in line. The project had an aggressive timeline, delivering the solution to the North American business in 22 weeks. The project team was split between London, New York and Pennsylvania and delivery followed the ‘SAP Activate’ methodology, aligned with Keytree’s method and delivery toolkit. “Keytree were very good at finding innovative solutions to challenges such as missing functionality and what I loved most about the Keytree team was their can-do attitude and the wealth of experience they brought to the project.” Anthoula Madden – Chief Digital Officer at pladis Global. The main business benefits are end-to-end visibility and integration as well as automation of processes; elimination of non-value adding tasks while standardizing processes across the company. A single version of the truth, standardized data and timely and accurate brand-product-customer profitability analysis enabled better decision making and improved demand and supply planning. Keytree has delivered a solution which is easily scalable to support the organization’s ambitions to grow within both existing and emerging markets. Roll-out to future regions is underway in the Asia Pacific with Australia and China top of the list – delivered by the core Keytree delivery team and Keytree APJ and China.